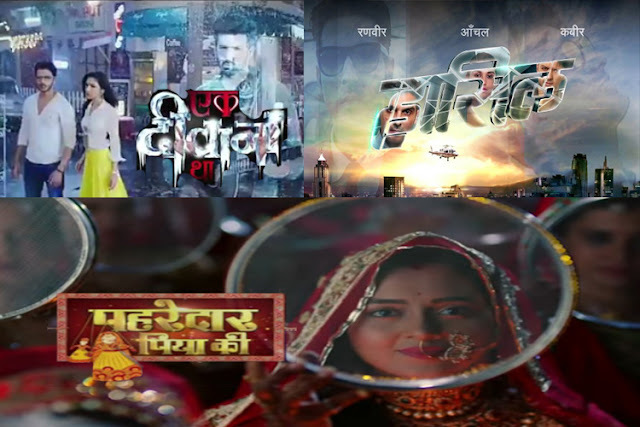 Sony TV is coming up with the new Shows named Kuch Rang Pyar Ke Aise Bhi 2, Haasil and the sequel of Pehredaar Piya Ki and everyone is confused about the Timings, Starting Date Time of the Show. Here its all been Confirmed. Ek Deewana Tha will take the 10 pm slot and will air in the first week of October. This means that Kaun Banega Crorepati Season 9 will air from 9 to 10 pm instead of running till 10:30 pm. And as KBC will conclude by the end of October, Haasil and the sequel of Pehredaar Piya Ki will occupy the timeslot for half an hour respectively. Keep Watching this Space for more news updates.